On Friday, June 27th, we move away from the road course and hit the drag strip. We have talked about it a couple times over the years and are finally able to get it scheduled this year. There are a lot of dudes bringing really fast cars. So now is your chance to see what it will run in the 1/4 mile. And the next day, we drift. In between, we party. After drag racing, Sneaky Pete’s will be open for some drinks and some bragging. The only new rule for the weekend is that the car must be set up the same way on Friday as it will be on Saturday. The only thing you can change is tire pressure. It is $160 to drive for the weekend. 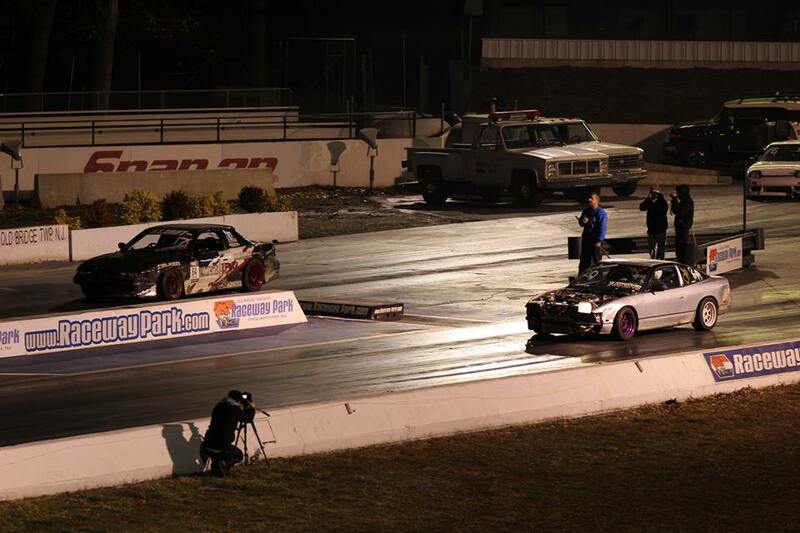 Registration will cover both Friday Night Drag Racing and Saturday Drifting. You don’t have to drag race if you don’t want to, but you probably should at least take a couple runs. Use the button below to register to drive. Make sure to include all required information. Registration is open from now until Thursday, June 26th at midnight. No late registrations will be accepted. We will just take your money and spend on something fun. So get your payment in before the deadline. Any issues with payment email Club Loose. Spectators are $15 and one ticket covers Friday night and Saturday. So your ticket from drag racing will get you in the gate for drifting. And finally, remember to tag your Instagram posts of you getting ready for the track or working on your car or driving at the track with #godrifting and #hotmoves. And then visit Go Drifting or Go to Hell! to see what everyone else is up to.